Intuit has released the QuickBooks 2010 R5 update to manual update, and probably to automatic update later today. This update includes the features I talked about from the short lived R4 update a few weeks ago, without the sales tax bug that was introduced. Let me summarize the “revision mania” here. Then I’ll talk about the changes, and give a recommendation. In mid December Intuit released the 2010 R4 update, which resolved a number of issues that people were complaining about. A complete list of the changes wasn’t released at that time. However, the R4 update introduced another problem, affecting a sales tax report, and they removed the update very quickly once this was discovered. The R5 update includes the R4 updates without introducing that sales tax error. What about R3? It was never released. Nothing to worry about there. If you have R1, R2 or R4, you can update directly to R5 without having to do any intermediate updates. And, this change is not as big as upgrading from 2009 to 2010 (or the infamous 2009 R9 update ). Not sure what you are running now? Run QuickBooks and press the F2 key to see what you are running. Update 01/04/2010 – If you use a 64 bit system then this update introduces a new bug – see my article on the 64 bit PDF driver. R5 is actually a small change from R4 – the only difference being that the sales tax revenue summary report that was broken by R4 is now fixed. But, since it is very unlikely that you have the R4 update, the R5 update will provide you with a lot of changes. I’m going to summarize them, and only list the ones that I think are important to most commercial users (there are a few additional changes useful to accountants and CPAs). You can see the full list in the Intuit update page. For many people, the biggest changes are the ability to “hide” more of the annoying Intuit advertisements that took up too much space on the screen. See the Getting Rid of Things section of my article on the R4 update for screen shots and details. Accounts Payable: Changing the Quantity on a Purchase Order while a linked Bill is open will now update the Quantity on the Bill. Accounts Receivable: Creating an invoice from an estimate no longer causes 0.00 to appear on description only lines. Accounts Receivable:Typing an existing vendor name in customer:job dropdown then tabbing out no longer generates the message “Name not found”. Accounts Receivable: Deposits can now be created without selecting payments that are displaying in the Payments to Deposit window. Accounts Receivable: Change of customer on a saved invoice now changes the customer to be e-mailed. Accounts Receivable: While editing a Bill, Check, or Credit Card Charge you can now edit the Memo or Ref field more than 1 time in the same edit session. 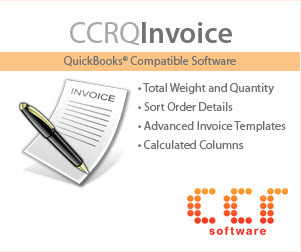 Accounts Receivable: QuickBooks no longer unexpectedly exits intermittently when a user clicks multiple times on blank line items on forms like invoices or a sales receipts after clicking save. Accounts Receivable: Check transactions are now listed in the deposit form even if there aren’t any QuickBooks transactions associated with it. Centers: Improved the speed of the time it takes to load the Employee Center. Client Data Review: If you are an accountant using this feature (or you are using the Accountants Edition in your own business to get this feature) you should seriously consider this update, as ther eis a long list of errors and changes that affect the Client Data Review feature. See the Intuit update page for details. 27 changes, some of them are significant if you use the particular feature that is changed. Company Snapshot: This is becoming one of my favorite features in the 2010 release. There are a number of improvements here. Performance improvements, small fixes, and a number of new Widgets to add (see my R4 article for details on the new widgets). Since the fixes here don’t affect the basic accuracy of your database, the changes aren’t urgent. Database: No longer get Not enough disk space warning while opening Company file on network drive that has enough disk space. Database: The message “Not enough memory to complete this operation. Exiting program.” no longer appears while performing clean up on the company file. Document Management: If you are using the Intuit Document Management feature there are a number of improvements and fixes. The biggest, in my opinion, is that you can now drag and drop files and Microsoft Outlook emails to the Attachments window for QuickBooks Document Management. There are some error messages that have been resolved, and better scanner support. Intuit Statement Writer: 17 bug fixes and improvements here. If you use this tool extensively, you should consider updating. Inventory: If an existing inventory adjustment is modified by removing one of it’s line items it no longer returns an error. Inventory: When a transaction (sales or purchase transaction) have a line item with “empty” quantity, troubleshoot inventory will now count the qty bought/sold number as “1” instead of “0”. 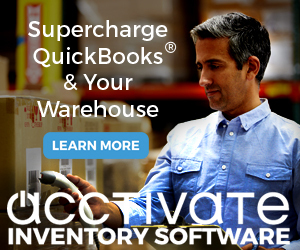 Inventory: QuickBooks no longer exits unexpectedly if the company file has a group item or inventory assembly item with “empty subitem line” and you make any item inactive inside the Troubleshoot Inventory feature. Lists: When adding a Job to a customer that already has Job Status picked on the Customer set up, Quickbooks AutoCreates a Job with correct Credit limit. Lists: The Sort List button in the Multi-choice List dialog now correctly sorts numbers. Used to go 1, 10, 2 order, now goes 1, 2, 10. Lists: The new Custom Fields drop downs now work correctly in Rapid Data Entry. Lists: QuickBooks no longer unexpectedly closes if you merge two names that have more than one rep based on them. Lists: If an employee name contains a % character, QuickBooks no longer closes unexpectedly when forms are launched. Reports and Report Center: There are a number of smaller fixes here, along with some performance improvements. All in all, so far there are no earth-shaking must have changes here unless you are using R4 with the buggy sales tax report. However, there are also changes affecting Payroll. I don’t normally work with Intuit Payroll, so I’m not really qualified to judge the impact of these changes. My contact at Intuit is saying that there are changes here that you need as a part of your year end update. Note that these changes do not involve any changes in your tax tables, etc., that you might have to deal with in the new year. That is handled separately from this update. Payroll Employee Organizer: Ethnic choices now match EEOC requirements. QuickBooks no longer unexpectedly closes when creating Custom Liability payments in Multi-User mode. Current year’s wage base limits are no longer shown when payroll is entered for next year. Can no longer add an employee with a different name but the same social security number of an already existing employee. Employee Organizer no longer creats duplicate state tax items. You can now send historical paychecks from the print pay stubs window with the appropriate access level. I’m a little bit concerned about this update – mainly because it will be pushed out on automatic update very shortly (one day?) after the manual update. Normally I tell people to wait on the manual update, let other people find out if there are problems, then wait for the automatic update. There typically is about a week between the start of the manual update and the automatic update. However, please note that I am not aware of any problems with this update at this time. I’ve been running R4 (which has the majority of the changes) for several weeks without any noticeable problems. If you are using R4 then you have all the significant changes, along with a bug in the sales tax revenue summary report. Get the update now. If you are using R2 and you are not using Intuit Payroll then I would strongly consider waiting until the new year to get this update. Why change things right at the end of the year? Local support (ProAdvisors) is harder to get, people are out for the holidays, and there is the usual end of the year mayhem. I wouldn’t take a chance on the update until things are a bit calmer in a few weeks. If you are using R2 AND Intuit Payroll then you may want to update now. Look at the list of changes, see if they apply to you. Just be sure to make backups of your database first and watch this carefully. If you are still using R1 then it is up to you. For the most part, I have the same recommendations for R1 users as I do for R2 users. Note, though, that a few people ran into some problems converting from R1 to R2 (I’ve not seen that myself, I’m just looking at the user forums). Most likely this isn’t an issue. Let me be clear, the R5 update has a lot of value and it is an update you should install. I’m not aware of any problems at this time. I’m just a very conservative person when it comes to new updates that haven’t been field tested extensively, AND I’m very cautious with any changes that come out right at the end of the year. Intuit gives and takes. While they gave us the toolbar option in forms(invoices for one), they added the User license item to the icon bar. This is a new low, in my opinion, in Intuit’s marketing history. I know they are a for profit business, but once again, they want to mess with my screen real estate. Relatively minor, but it still irks me. I am using 2010 Premier and just downloaded the R5 update. After reconciling my bank account, the following message appeared: “There is a problem connecting to your currently selected printer, [printer name], you may need to change the port assignment from the windows printer settings or reinstall the printer driver software.” I tried rebooting, but no help. It doesn’t matter what printer I choose, the same message appears. Suggestions? Karl, I hadn’t noticed the “user licenses” icon, but that isn’t a big deal. You can “customize” the icon bar and remove that icon very easily. Danna, are you using a 64 bit computer? What operating system? 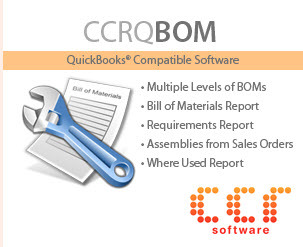 I’m guessing that the “printer” that you are having trouble with is the PDF driver that QuickBooks uses for reconciliation reports. Thanks Charlie, Excellent review I also noticed the User license on the icon bar. When I downloaded the update it completely changed my customized icon bar and would not allow me to move the license icon. I don’t care if it’s there as long as I can move it to the end of the bar out of my way. It allows you to move it but when I close the program and reopen it it goes right back where it was. I got rid of the update but now every time I open the program it tells me that R5 has been downloaded would you like to update now? How can I stop this message every time I start QB? I am using Windows 7. I found instructions on the QB site about renaming the DownloadQBxx folder but cannot find it in Windows 7. Any suggestions? I just tried to download the patch from the quickbooks site, but it looks like the executable is missing from http://sharedldfp.intuit.com/pub/quickbooks/2010/r5/ anyone know where I can get it from? Adam, I just went to the Intuit download site at http://support.quickbooks.intuit.com/Support/ProductUpdates.aspx , located the 2010 R5 update page and clicked the button to download, and the download worked fine on my system. Try again – if you don’t have any luck with that, contact me directly at the email address in the “about” page of the blog. George, Thanks for your comment. My apologies to Karl Magnuson – I didn’t completely check on this. Yes, you can delete the “user license” item from the icon bar, BUT if you restart the program, it comes back! And as George mentions, it goes to the same place as before, not one that you move it to. I just had a lengthy conversation with Quickbooks support regarding the printing issue in 2010 R5. It seems that the new release requires the user to close all open windows in Quickbooks before switching to another company. If the user does not do this, the program will not print. This is not good because there is nothing in the release notes about this and instead of an error message there should be a warning when the user wants to switch companies that he or she has to close all open windows (in Quickbooks). Scott, I have duplicated that problem just today. I haven’t worked on a fix for it yet, and it may take a few days (busy time of the year), but I’ll post an article on this if I find something. Steven, let’s talk about the parameters here. What operating environment, what exact error are you talking about? I have a Vista 32 bit system with Premier 2010 R5, and I don’t have any problems. I can print and reconcile, I can switch to another company and print without having to close windows. I don’t get any errors. Worked perfectly, thank you for the pointer! Quick question, should I delete any QuickBooks PDF Converter that appears in Control Panel > Hardware and Sound > Devices and Printers that is not version 3.0? I have been a Quickbooks user for several years — upgrading my program every year. I recently installed QBPro2010 and started moving my clients company files and my business and personal files over from QBPro2009 — getting ready for the 2010 fiscal year. I had several files moved, set up and ready to go without experiencing any problems. Then a few days ago I downloaded and installed the R5 update and now I have something I really dislike. With the installation of R5 an icon “User Licenses” has appeared right in the middle of every one of my company files. I can’t get rid of it. Delete it and it comes right back when the company file is reopened — move it to the end of the icon bar, where it would not be in my way and breaking up the flow of my icon bar and workspace and it moves right back to the middle when the company file is reopened — rename it (x) to make it smaller and less obtrusive and when I reopen the company file, there it is, back to User Licenses and taking up valuable space on my Icon Bar. Tech support call yesterday told me there is no way to get rid of this icon, it’s in the code, not sure if it was accidental or planned programing, and I just have to live with it. Why? This icon is actually taking up so much space that icons I need and use for my business and personal files are being shoved off the screen. It’s right in the middle of the Icon Bar, in my way and gets accidently hit, resulting in work stopage while the Intuit Quickbooks website opens to sell me additional softwar licenses I don’t need. I am a one person operation, the only person handling accounting, the one license the programs come with are all that I need. Could this In-Your-Face, Intrusive, Space Eating, Pain In The Backside Icon please be removed from my Icon Bars at the earliest posible opportunity? Why is there no option to state that additional software user licenses are not needed, thank you for asking, now please get out of my Icon Bar? At the very least let me move the Icon permanently to the end of the Icon Bar, out of my way and let it be the one pushed off the screen by the Icons I really need. Jan, the best I can say is that there is a “feedback” option in your Help menu – send them feedback on this. THEY DO LISTEN – although that is no guarantee that they’ll make a change. There are a lot of changes in this release that were based on negative feedback about other advertising issues in the 2010 release. So if enough people complain, that might work. It is odd, though, in MY copy fo Premier 2010, the “user license” icon is stuck way off to the right near the very end. I hadn’t noticed it until someone pointed it out, because it was so unobtrusive. After installing the update I also am having print problems on one computer (won’t open printer setup) and on another computer it has locked up completely which may be a conflict with other software on that computer. Susan, you don’t give us much to go on. What operating system? Is it 32 bit or 64 bit? What did you update from?And do you have SOME computers that work, or is it all? Also, are you using Enterprise or Pro/Premier? Good advice, will do. If it ain’t broke, don’t fix it. And now that it’s fixed, I don’t want to break it all over again! Thanks again for your help and willingness to share your knowledge with others. I have submitted this issue to Feedback, and through the Tech Support call I had yesterday. If you, Charlie, have Premier and I have Pro maybe that’s why your User License Icon is out of the way at the far right and mine is dead center. It was the Tech Support agent yesterday who gave me the url for this forum and suggested posting here as well as QuickBooks Feedback — many voices rise higher than a single voice. This Icon is a real pain for me, and maybe not much of a pain for others. But I am concerned about two things: 1. If we as users don’t speak up, the one Icon in the Icon Bar that arrived with R5 is very likely to become 2 or 3 such Icons with the next release and continue to multiple until the Icon Bar is useless. 2. If it is this easy for Intuit to invade and to even a tiny degree, limit the use of our company files, how easy will it be for them to glean sensitive information from our company files? I have clients to protect. I don’t consider this to be an advertisment — I’m used to Ads coming up when a program loads, you click cancel or send them down out of your way, this is different — this is embedded into my customized, supposedly private company and personal files. I haven’t seen any evidence that “They” are listening. Interesting that a Intuit employee would suggest coming here! Always fun to get referrals from them. And, there are a number of managerial level people who do read this blog (I know, because I get emails when I say something that isn’t popular with them or is incorrect). Even if I look at Pro, it is way off to the side on my system. BUT, you may be removing a lot of the icons in the bar, so that may move it more to the center. I leave the icon bar alone so that I can see the file in the format that most people would see it if they don’t make changes. There is a lot of real estate that they take up in the icon bar. I don’t like the “app center” icon (personal reasons for that). You have a valid complaint. I am wondering if you can help me with a Sales Tax problem I am having with 2010 pro Canadian version? When I go into File Sales Tax and I try to adjust Line 4 “current penalty” there is no tax account in the drop down box to use. For the Compensation, there is an actual specific adjustment field but I can’t seem to be able to put an amount in the penalty field no matter what I do. If I do an adjustment on line 6, it changes my Sales on line 1!!! Argg….spent hours trying to find something on it last night and hoping that you can help me!! Thanks in advance…..and great site!!!! Lisa, unfortunately, I don’t work with the Canadian version, and it handles taxation very differently than the US version. We’re a non-profit (church) and we sell inventory of books, tapes, etc. We’re using Premier Edition 2006. I need to adjust the inventory at our year-end which was 9/30/09. We’ve obviously posted transactions since then. How do I adjust the inventory at a point in the past? Kathy, that is a bit off topic from this discussion. If you have closed your books for your last fiscal year, any postings for that year will alter your financial statements. In that case you better talk to your CPA or accountant. If you haven’t closed that prior fiscal year, you can enter an inventory adjustment and just specify 9/30/2009 as the transaction date. Then QB will post it on that date. Note that this could affect your COGS values for the current year, but that might not be a problem. Basically the R5 update made all users in quickbooks 2010 enterprise solution to a screeching halt. The program comes up with a “Loading quickbooks” screen, Hangs for 5-10 minutes and fails to open a window. The only fix i have found thus far is a full uninstall, and simply choosing not to install the R5 update. Can I get some assistance here? Syam, there are a lot of reasons why that might occur, but unfortunately it isn’t something that I can help you with through comments in this blog. This isn’t set up to be an interactive support forum. You might want to try the Intuit Community Forums. Or find a ProAdvisor who can help you (ProAdvisors have access to higher level tech support from Intuit). I just upgraded from QB Premier 2007 to QB Premier 2010 and spent 6 HOURS on the phone with tech support because I can’t seem to access my customer list, vendor list or email my statements to customers. The lists are all there as I can pull them up from the dropdown bars on invoices. I’ve also completed data verification and nothing seems to be wrong with my data. Tech is supposed to call me back at 5:30 pm tonight with some more options. They are insistent that something is wrong with my data – my files are large – but no problem with performance – I can’t afford Enterprise. Does anyone have any advice? Sorry. I can’t access them on the left side tabs that say “Customers”, “Vendors”, “Employees” or on the top drop down bars. When I click on these tabs it immediately brings up a screen that says Quickbooks has encountered an error and must be shut down and then says something about Corel Address Book. Then when I press the OK button the program shuts down. I uninstalled Corel WP but the screen is still popping up. Liz, that is an unusual situtation. If you are talking to Intuit tech support, I don’t have much more to say at this time. Good luck! QB support has all but given up on me other than to try to sell me Enterprise which accepts larger files. The exact message that I’m getting is “Borland Database Engine not installed. Can’t load Corel Address Book Service Provider.” Corel is my Word Perfect program – I’ve tried uninstalling it and the same thing happens. The performance of QB Premier 2010 is fine – runs fast and efficient other than this problem. Liz, I’m sorry that you are going through this trouble. I don’t have enough information to be able to give you a specific answer. My gut feeling is that upgrading to Enterprise won’t resolve the issue, because the kind of error you are seeing isn’t what I would expect from a database capacity problem. There may be some other reasons to suggest upgrading to Enterprise. I don’t know anything about what version of Windows you are using, what kind of computer you are using, and so forth. Or if this is a single or multi user setup. Sometimes when Windows gets “out of whack” you get very odd errors, and this seems like an issue in your Windows system somewhere. There are a number of ways that it could be approached, but they may involve either money or a lot of time. It isn’t something that can be resolved through comments in a blog like this. I have uploaded the R5 update and it failed, so I followed the process as outlined on Intuits website and installed the installer. But when it comes to where I put in my Licence# and Product# it rejects them. I have a confirmation email from Intuit with these same numbers and I’ve double checked!!! Then when I try to contact Intuit on this I have to pay to get through, what a joke? Anyone else have this problem? I’m using Windows 7 and my version of Quickbooks is the Pro edition.